A multi-layered novel about a man on a quest that leads him through the fascinating landscapes of an exceptional short-story writer. At the grocer’s, a doctor happens to run into Magda Roux, a Frenchwoman who has come to Finland to look for a missing man. 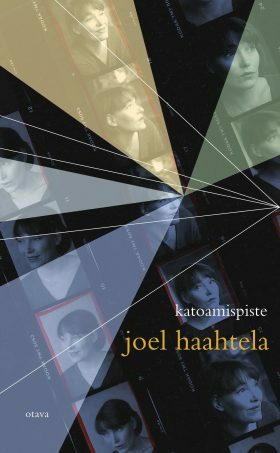 She has a lead: the French edition of a book by a late Finnish author. The doctor remembers reading the book and liking it and he decides to help her. The next day Magda disappears from her hotel without warning. The whole thing is troubling to him. What does he know about the woman, or the man she was looking for, or the author of that particular book? He wants to find out more. Vanishing Point is Joel Haahtela’s seventh novel. Combining fact and fiction, he breathes life into the landscape of the Finnish author Raija Siekkinen (1953-2004) while at the same time pays homage to a great short-story writer, a depicter of the private worlds of the blessed.